Grey or silver hair hit big with women and stylists in 2017 and is still going strong. Once 2018 rolled in, we started seeing this trend appear on men – on the runway, in magazines and even on the street. Whether you are going grey naturally or want to give mother nature a little help, learning more about the silver/grey hair trend can help you decide if the distinguished “arctic fox” look is for you. If you’re noticing strands of silver, grey or white, you’re not alone. As you age, your hair begins to lose some of the proteins that contain pigment – melanin. Loss of melanin is a natural process and largely determined by genetics; you could begin to see sprinkles of grey as early as your 30’s. If your dad went grey early, you may as well. Temporary color: A product that is wax or pomade based can coat your hair and provide streaks of grey, silver or white. These streaks will wash out the next time you shampoo and can give you an idea of what to expect. Permanent color: When you’re ready to take the plunge, head to your local salon. 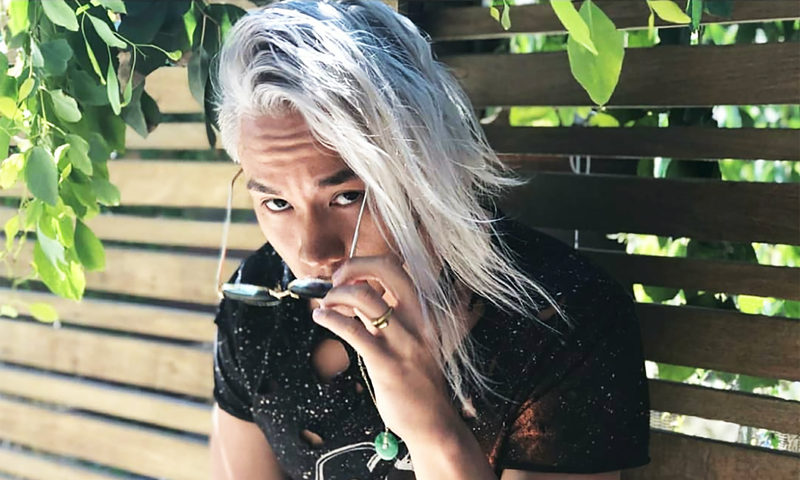 For most, going grey or silver will require both bleaching (to remove your natural color) and then toning (to get the distinguished grey you want). Just bleaching won’t work – you’ll end up with awful yellow stripes – so heading to the salon and working with a pro is the best way to get the look you want. Fortunately, the silver hair trend is already well established for women, so you’ll have no trouble describing what look you want. In just a few short hours, you’ll be hitting the streets with striking silver or grey streaks, ready to turn heads.